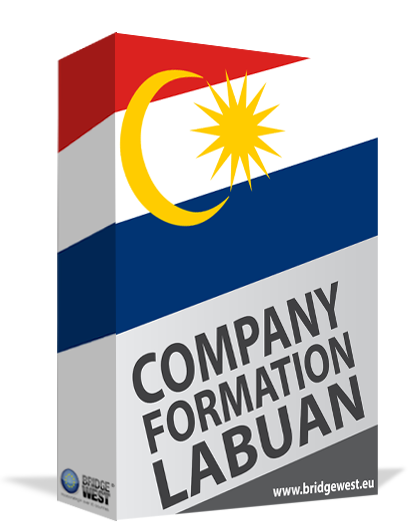 Investors interested in Labuan company formation need to observe certain requirements when opening a company in this favorable jurisdiction. Having a company secretary in Labuan is required for companies and it is recommended to have one that is local and qualified for this position. Secretarial services can be offered as part of larger packages or as standalone services, according to the needs of the company. The types of services can differ according to business structure, however, most of the corporate secretarial services will include a set of comprehensive, general services, presented in more detail below. Opening a Labuan offshore company is attractive for many investors who wish to benefit from the simple incorporation, the low capital requirements and the tax advantages for certain types of business activities. Below, we answer some of the most common questions about company management, with emphasis on corporate secretarial services and the need to appoint a company secretary for a Labuan company. What are the tasks of the company secretary? A company secretary in Labuan performs a variety of tasks that are essential for the functioning of the company. Moreover, the secretary also handles the tasks meant to ensure that the legal entity complies with the ongoing statutory requirements. Maintaining the registries: an important task consist of properly maintaining the register of directors and other company registries up to date. Minutes and resolutions: the secretary is also entrusted with preparing the minutes of the director’s meetings and any relevant resolutions. Filings with the Companies Registry: the company secretary can handle part of all of the submissions made to the Company Registry, such as those for changing the company directors or the registered office. Preparing documents: the duties can include drafting, drawing up and preparing all and any needed documents, from agreements to the altered Memorandum and Articles of Association when these need to be updated. Other submissions: in some cases, the company secretary can handle the submission of the annual returns on time; in practice, companies in Labuan can employ the services offered by an accounting firm for this purpose. The role of the company secretary can start as early as the first company formation procedures. The secretary can prepare the Articles of Association and the Memorandum as well as gather all of the other needed documents for company registration. In practice, however, the incorporation procedure can also be handled by a team of incorporation specialists such as our team of agents. Our team of agents can advise investors who open a company in Labuan on the role of the company secretary and why it is advisable to appoint a licensed secretary. The Malaysian Association of Company Secretaries is an independent professional body that is self-regulating, whose members are qualified to practice as Certified Company Secretaries. The secretaries can be subject to professional examinations held by the Association and the examination is one that focuses on a broad range of business management matters, from financial accounting and management to company secretarial practices, professional practice and ethics, and related business and company laws. The fact that the candidates are required to cover a wide range of practices and business knowledge means that they are prepared to offer professional secretarial services. This is why it is advisable to seek the services offered by a certified company secretary in Malaysia and Labuan. How is the company secretary appointed? The procedure of appointing a certified company secretary in Labuan includes including the chosen secretary’s details in the Articles of Association of the company. It is important to name the secretary before the incorporation documents are submitted to the Registrar. The company secretary has a comprehensive role in the general management of the company, from statutory compliance to financial compliance in most cases as well as human resources issues. Appointing a company secretary in Labuan is thus an important step for all types of legal entities including the Labuan trust company and other companies used for trading or for providing various types of services. Investors who wish to know more about the processes needed for Labuan company formation, the role of the secretary in the company formation procedure as well as the day to day activities of the business, can contact our team of experts. We can help foreign investors open a company in Labuan.